Once you've learned to creatively solve problems through design thinking, the next step is leading your team through innovative solutions to complex problems. Learn to facilitate your own design thinking and human-centered design workshop and lead your team to the answers you've been looking for with this exciting course. Participants taking the Design Thinking Practicum should have demonstrated mastery of design thinking techniques by successfully completing the prerequisite of Design Thinking for Innovative Problem Solving. This course is intended for professionals looking to take the leap from learning about design thinking to leading workshops on their own. Participants can take the Design Thinking Practicum as a requirement toward their Executive Certificate in Innovation & Human-Centered Design or as a standalone course by first completing the prerequisite of Design Thinking for Innovative Problem Solving. Participants will learn from renowned faculty and work alongside peers to gain the skills needed to create and facilitate a workshop of their own that utilizes the principles of design thinking (empathize, define, ideate, prototype, and test) to drive creativity in their own organization. The prerequisite for this course is Design Thinking for Innovative Problem Solving. 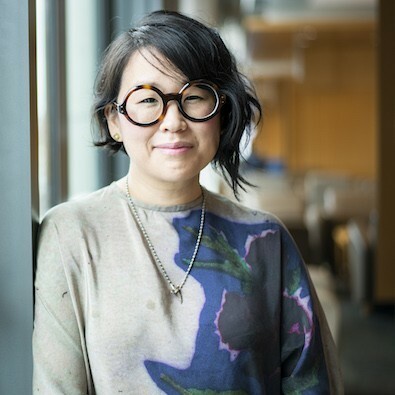 Sharon Kim is a faculty member and the Director of Innovation & Human-Centered Design at the Carey Business School. She holds a PhD in Organizational Behavior from Cornell University. Sharon has expertise in the psychology of creativity. Her academic research has been featured in popular media outlets including Harvard Business Review, Wall Street Journal, and Fast Company. She teaches design thinking and provides innovation consulting to leaders in Fortune 100 companies and international health NGOs. Leverage your team's experience and discover new strategies and tactics to develop innovative solutions and organizational success. Learn how to use successful techniques from adaptive leadership and design thinking to challenge assumptions that may be holding you back and create meaningful action plans to achieve any of your goals. Expand upon basic design theory principles and develop your ability to research, ideate, and prototype theories you've created for a more intense design challenge.